Wishes at The Magic Kingdom. It’s always a challenge to shoot something from a unique vantage point. Shooting fireworks is fun and I’m always fascinated by how well choreographed they are. It’s just a huge light painting in the sky. So cool! 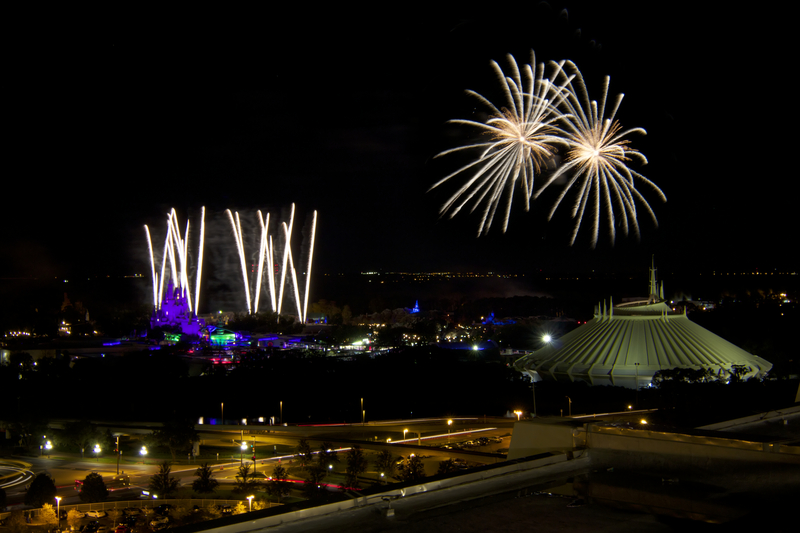 Tonight, I got to watch the Magic Kingdom firework display from a different vantage point.